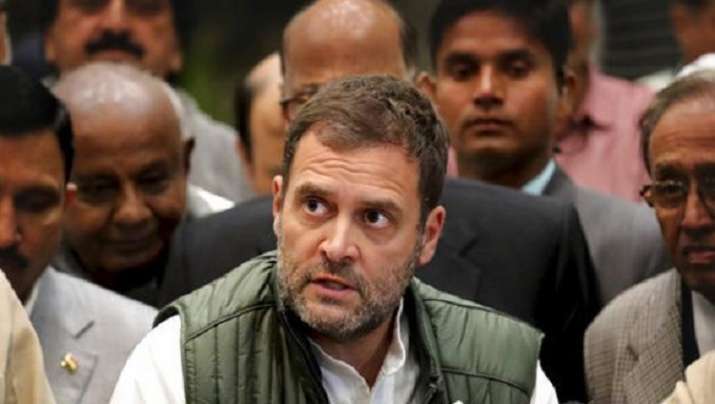 Amid escalating tensions between India and Pakistan, Congress President Rahul Gandhi has cancelled a meeting of the Congress Working Committee (CWC) and the 'Jan Sankalp rally' which was to be held in Gujarat's Gandhinagar on Thursday. After almost six decades, a CWC meeting was scheduled to be held in Gujarat. All the bigwigs of the Grand Old Party were supposed to be present on Thursday including former Prime Minister Manmohan Singh, new General Secretary Priyanka Gandhi and UPA Chairperson Sonia Gandhi.